This nautical-themed key chain is both adorable and functional, featuring an anchor lantern key fob. Crafted from solid brass, this key chain is as beautiful as it is durable and functional with a knurled knob that allows you to easily and securely add or remove keys from the ring. These wonderful key chains make ideal gifts for all. Show the nautical fanatic in your life that you understand the fascinating history of the seas with a gift of this anchor lantern brass key ring. For the sailor who knows the importance of the port side red lanter, as one of the guiding lights on every sailing vessel, these nautical keychains represent a true gift from the heart. 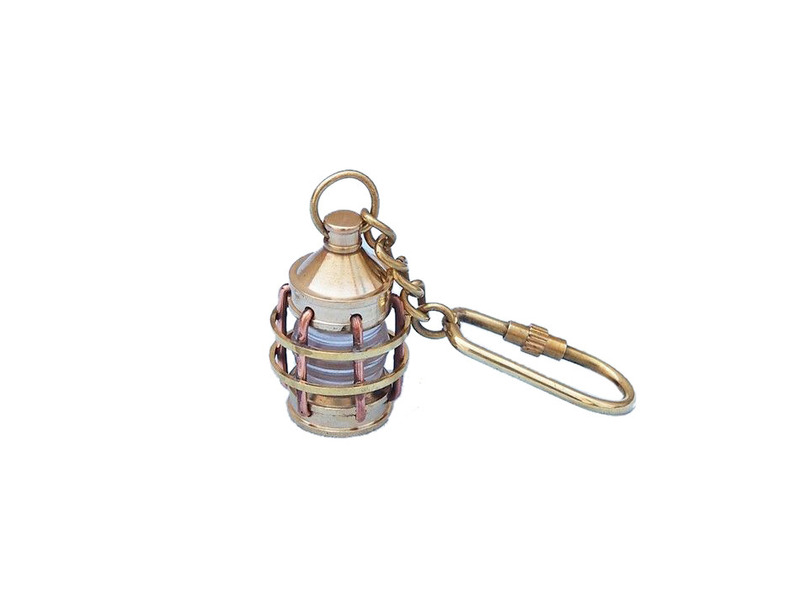 Urging the proud new owner to always travel safely, and arrive in a port of safe haven, the lantern of this brass key ring has been protecting sailors since 1890. 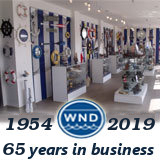 Along with green lights to starboard, and white light to the fore and aft, the red lights of these brass rings are still in use today on ships across the globe. Give the gift of this brass key ring to the person who you wish to guide to safety, the one who is immersed in the wonders of sailing, or perhaps as a reminder to the one heading out on the open ocean for yet another tour.